Radiohead: did they find gold with In Rainbows? Radiohead's 'pay what you want' release of In Rainbows may have garnered the band a lot of publicity, but the stats suggests that many more people downloaded the album illegally than from Radiohead's official site. According to research published by P2P monitor Big Champagne and the MCPS-PRS, around 2.3 million fans got hold of the album via BitTorrent sources during the first two months of its legal availability. This is considerably more than most commentators believe obtained the record from the In Rainbows website. For the record industry, this is depressing news. It suggests that, even when music is made available for just the price of a credit card transaction, a majority of downloaders still can't be persuaded to go legal. 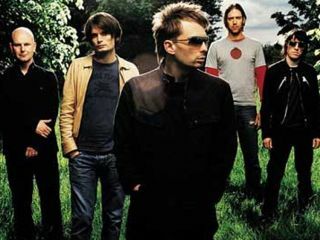 However, Radiohead themselves probably won't be too disheartened - Thom Yorke has previously said that the In Rainbows scheme worked out "really well" for them financially, and despite the flow of BitTorrents, the record still went to number 1 in the UK and the US when it got a retail release.